Phil “The New York Badass” Baroni has expressed his full support of the use of anabolic steroids in mixed martial arts (MMA) competitions. Baroni discussed steroids during an open and candid interview with Fight Sport Asia. He told the Asia MMA website that performance was all that mattered; athletes should be allowed to use any performance-enhancing drug necessary to be the best. Baroni pointed out that the sport itself is much more dangerous than drugs like anabolic steroids or marijuana. Prohibiting athletes from using steroids based on protecting the health of the athlete is disingenuous according to Baroni. The current state of professional sports is such that the steroid-using athletes most skilled at avoiding detection are the ones that are rewarded. Baroni highlights the disturbing fact that the better an MMA athletes performs during competition, the greater the likelihood of inflicting negative health consequences such as an acute injury involving muscle and joint damage and/or brain trauma. There are multiple approaches to minimizing the harm involved in MMA that would be much more effective than eliminating PEDs. None of them are very appealing since the popularity of the sport is based on the intensity of the combat between the MMA fighters. 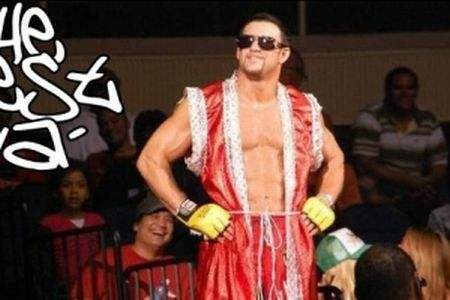 Phil Baroni has his own direct experience with failing a steroid test in MMA. He tested positive for the veterinarian steroids boldenone (aka Equipoise) and stanozolol (aka Winstrol) during an EliteXC and Strikeforce fight with Frank Shamrock on June 22, 2007. The testing was performed by Quest Diagnostics. Baroni lost the fight to Shamrock in a technical submission victory that rendered Baroni unconscious and with a groin torn from the bone. Shamrock passed all tests for anabolic steroids during the pre-fight drug screening. The California State Athletic Commission (CSAC) suspended Baroni for one year and fined him $2,500. Baroni appealed the suspension and requested to have an independent laboratory (Carlson Company) re-analyze the remaining urine sample for both DNA and steroids. Baroni alleged that the sample did not belong to him. Carlson was unable to determine the identity of the person who provided the sample. But they were also unable to detect any traces of metabolites from boldenone or stanozolol. The CSAC upheld the fine and reduced the suspension to six months for Baroni.